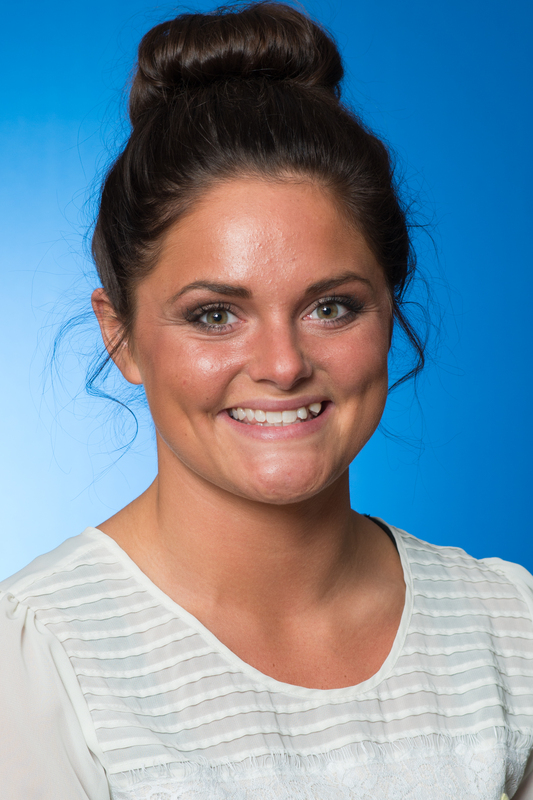 Indiana State University Kathryn Gilbert conducted research into childhood obesity in her hometown of Sullivan, Ind. Under the direction of primary care physician Matthew DuPre, Gilbert's research aimed to tie together combating childhood obesity with her passion for fitness and healthy lifestyle habits. "The majority of adults who are diagnosed with obesity have a history of being chronically overweight, which raises concern for healthcare professionals and may indicate that childhood is when intervention is needed. Moreover, childhood obesity is the most prevalent nutritional disorder in children and adolescents worldwide," said Gilbert, a sophomore and rural health scholar. Gilbert began her research by reading literature to find risk factors for childhood obesity. She selected a variety of factors that were prevalent in her hometown, including parental obesity, family income, sleep habits, diet, physical activity and screen time. She then spent a few weeks creating a confidential survey. Parents of children between the ages of 2-12 were surveyed about their child's health and behaviors. The participants were both divided into four categories based on their body mass index -- obese, overweight, healthy or underweight. Their BMI categorization was used to analyze which risk factors seemed to be contributing at the highest rate to childhood obesity there. "I hope that by identifying possible contributors to childhood obesity in Sullivan, Ind., parents may become more aware of their child's lifestyle habits and strongly consider these factors in their lives," Gilbert said. Her study not only found that 28 percent of children ages 2-12 are obese, but also that one in every three children has an obese mother. Next year, Gilbert will participate in shadowing multiple physicians, a benefit of being part of the Rural Health Program. She plans to take the MCAT her junior year at Indiana State, in the hopes of being accepted into Marian University College of Osteopathic Medicine. "I was relieved when I concluded my research and was pleased with the results. I would like to replicate this study in the future by looking deeper into the more prevalent associations of obesity that I found," she said. "I really enjoyed interacting with healthcare professionals in my hometown and knowing that the data from my research could potentially help my community in the future when it comes to obesity prevention." This project was the first research opportunity Gilbert has had. "I could change anything, I would have liked to be more knowledgeable of how to successfully conduct and analyze research data to receive more effective results," she said. Gilbert was advised by Robin Danek, Rural Medicine Program manager at the Indiana University School of Medicine-Terre Haute. "Kathryn did an excellent job in conducting her project and writing the various components of her paper," Danek said. "She was very attentive to every aspect of her project. The results of her project were good given the amount of time she was given and the lack of experience she had in actually conducting research." Under the direction of primary care physician Matthew DuPre, rural health scholar Kathryn Gilbert's research aimed to tie together combating childhood obesity with her passion for fitness and healthy lifestyle habits.